If one mutation is rare, a lot of mutations are astronomically rare. For instance, if a particular mutation has a one-in-a-million (one in 10^6) chance of occurring in a new individual, then a hundred such particular mutations have a one in 10^600 chance of occurring. It’s not going to happen. 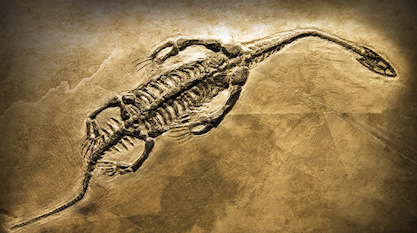 How do evolutionists reckon with this scientific problem? First, one common response is to dismiss the question altogether. Evolution is a fact, don’t worry about the details. Obviously this is not very compelling. What evolution requires is that biology is different, but there is no reason to believe such a heroic claim. The response that multiple mutations is a “straw man” argument does not reckon with the reality of the science. Fourth, another common response from evolutionists is to appeal to the fitness of the structure in question. Biological designs, after all, generally work pretty well, and therefore have high fitness. Is this not enough to prove that it evolved? For evolutionists, if something helps, then it evolves. Presto. Photo: The Sage of Kent, by Mafnoor via Pixabay.